Andy Hart ranches near Claresholm, Alta., and says every year he picks a pasture that needs a little "therapy." Then, he sets about plans for bale grazing in that pasture during the winter. Making and keeping soil nutrient-rich takes planning, and your livestock can help. "Feed the hay on that ground in an effort to feed nutrients and have some animal impact by spreading manure, urine and whatever residue is left over from the hay itself to feed the biology in the soil," Hart says. He tries to be strategic with his bale grazing and use a different pasture every winter, so he can spread the benefit over time to as many pastures as possible. 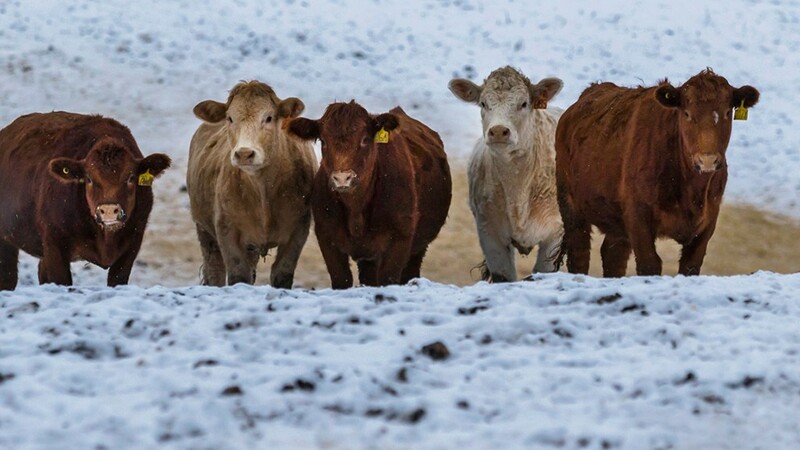 "We set out enough hay for the cows for three to four days at a time, so they’ll concentrate manure in that location with the hope of stimulating enough biological activity in that ground," Hart says. "The long-range goal is to build the soil up." He says it's important to manage the space so manure spreads evenly. When producers feel they have the needed coverage, they can move the cattle on to the next plot. Sean McGrath is the owner of Round Rock Ranching near Vermillion, Alta. He keeps a sharp eye on his pastures year-round and that includes soil testing. McGrath says this allows them to identify pasture areas that may be overlooked. "It lets us put the nutrients into places that they need to, such as the top of hills," McGrath says. He says he also likes to keep track of the amount of pasture litter on the ground, as it helps protect the soil. Pasture litter is the plant material that dies and falls over at the end of the growing season and eventually decomposes into the soil. McGrath recommends farmers map out a summer plan during the winter months to ensure the pastures remain healthy. He says he’ll often determine what group of cows will be moved where, and when, and what fencing needs to be put in place. Help pastures reach their full nutritional potential by planning grazing ahead of time, soil test for areas that need extra nutrients and be strategic when planning bale grazing, utilizing the livestock to add nutrients to the soil.